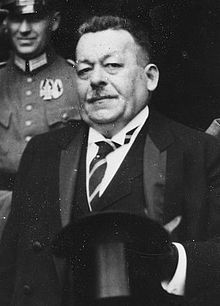 Friedrich Ebert (4 February 1871 in Heidelberg – 28 February 1925 in Berlin) was a German politician (SPD). He died on 28 February 1925 from Septic Shock. He was Chancellor of Germany and its first president during the Weimar period. This page was last changed on 4 October 2017, at 13:58.